THIS IS AN OLD MODEL, CLICK HERE TO CHECK THE NEW MODEL. 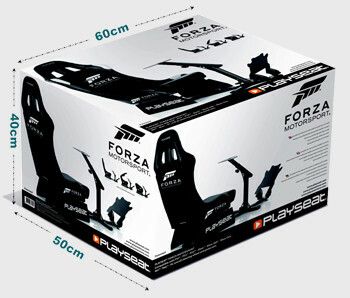 Race like no other with the official licensed Playseat® Forza Motorsport! 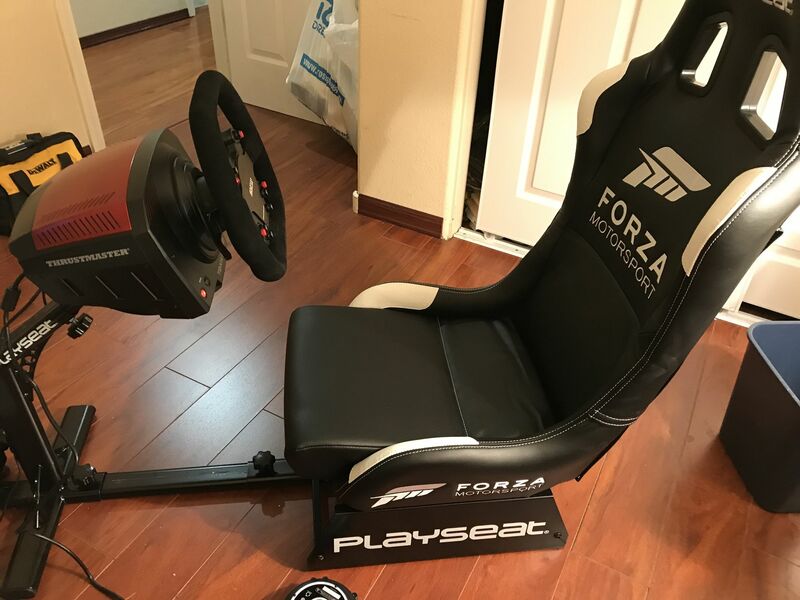 This is a racing chair for all Forza Motorsport fans, with the unique Playseat® quality! It doesn't get more realistic than racing in this comfortable gaming chair, which is upholstered with leather look black vinyl and has the official Forza Motorsport logo! Thanks to its unique foldable design, it uses little space when not in use. The Playseat® Forza Motorsport is highly adjustable and very stable, to make sure you're ready for the most intense races and will leave all your opponents far behind! Playseat® chairs are used by professional drivers, who acknowledge the unique Playseat® quality and confirm that Playseat® chairs faithfully reproduce the position and the feeling of driving a real racing car! Race like a pro, race with Playseat®! Compatible with all steering wheel and pedal sets on the market, including Logitech, Thrustmaster, Fanatec, etc. Quality is really good. Easy set up, fast free shipping. Great communication. Amazing seat, great design and comfort, fits in my living room and works great. I bought this item three days ago and today it arrived to my house I put it together and boom it works great . Overall it it selling in the USA for $499.99 no tax free shipping but shipped from Holland I paid $451.00 saved $49.00 and was faster for shipping than the USA. I WILL RECOMMEND THIS ITEM TO ALL And buy it at the play store and you get a 3 months free racing . Well packaged and easy to assemble in just a few minutes. The seat is well built and very solid. If you have a steering wheel and pedals you need one of these seats to complete the experience. I tried using the wheel and pedals with a table and it wasn't a good fit at all. The Playseat is totally different and very realistic. Easily adjustable for other members of my family too so we can all enjoy the drive!